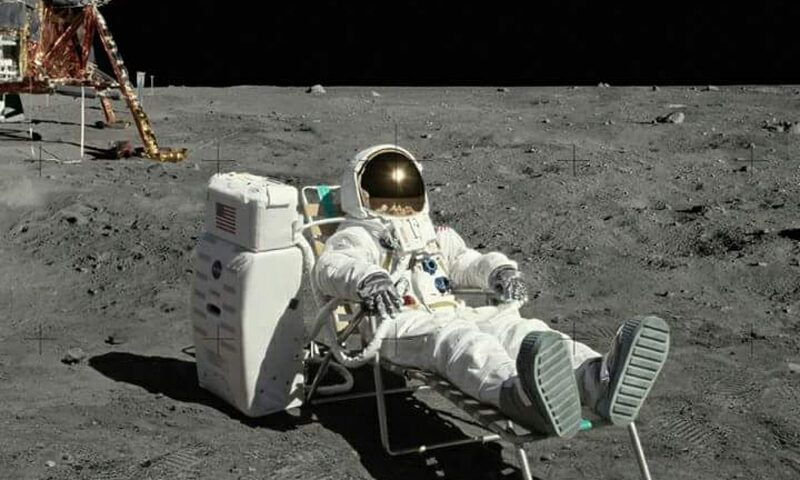 Neil Armstrong is dead now, as are many of the men who followed in his footsteps. Those of us who, as children, experienced the grand spectacle of NASA’s greatest achievements grew up expecting even greater things. Those of us who continued to follow it closely into adulthood grew perplexed at the notable lack of achievement. For a while, we believed the PR that projects like Skylab were the natural evolution of our expanse into the solar system. Everyone intuitively got that Mars was a very long way away, so if we were going to send people there it would be wise to get our arms around real long-duration spaceflight. There was even supposed to be a second Skylab, in orbit around the Moon, that would give us a strong foothold at the edge of deep space as we pushed on to Mars. That was cancelled, of course. The massive Skylab II module now resides in the Smithsonian Air & Space Museum. You can even walk around inside of it and imagine what it would’ve been like to live in it while orbiting the Moon. Everything at NASA became focused on the Space Shuttle, which we were promised would be the key to reliable space access and the first essential step to building the kinds of massive ships that would be needed to venture beyond the Moon. The idea made sense, but the execution never did. Shuttle became a victim of mission creep, needing to be all things for all users. In the process, it became so big and so over-complicated that economic access would be impossible. The International Space Station was conceived as a necessary destination, and then it got turned into a make-work program for unemployed Soviet engineers in order to keep them from selling their skills to, say, Iran. But think about that for a minute: the shuttles were built to service a station which ended up being there to give the shuttles something to service. And now we have no shuttles. Just as well, really, since they turned out to be inefficient death traps – because that’s what happens when you try to make an experimental vehicle your workhorse. Through this time, the space agency we all grew up in awe of flailed around. We were told it was because they had no defined goal, no destination like Apollo. That made sense for a while, as we really had no other experience to judge it against. A few “voices in the wilderness” cried out that there were better ways to do it, but nobody really listened since everybody knew space was Dangerous and Mysterious and Expensive, therefore it could only be done by a big government program using big government rockets bankrolled by big government money. Thankfully, this paradigm has begun shifting in the last few years. But I didn’t sit down at the keyboard today to sing the praises of SpaceX and XCOR and Blue Origin and Orbital Sciences. I am here to lament what could be happening right now with NASA, but never will because of myopic bureaucrats and idiot congressmen who can never see past their own reelection. Rand Simberg points to a series of Houston Chronicle essays about the state of our space program, the most recent installment of which is alternately depressing and infuriating. It describes a study commissioned by NASA which determined we could pretty readily be sending people back to the Moon to do useful work within the next few years. And we could do it with existing launchers (Delta IV-heavy, specifically). It wouldn’t be possible to throw everything up in one launch, instead needing several. But the bulk purchases of launchers would start to drive the costs down, and we frankly have plenty enough on-orbit construction experience now that it shouldn’t be that much of a stretch. The real enabling technology to be developed would’ve been long-term propellant storage and on-orbit refueling, which is technology we desperately need anyway (and is a proper R&D role for a government agency). Congress didn’t want radical change and instructed NASA to build a big rocket, the Space Launch System or SLS. Much as I’d love to see a Saturn V class launcher again, it would make a lot more sense to use the tools we already have. But we all know government doesn’t work that way. The Moon is there for us to use. Water ice has been detected, which would be the single most precious resource for a spacefaring society. Besides its obvious life-giving properties, it can be broken down into hydrogen and oxygen. That is, breathing air and rocket fuel. NASA will not get us there. I wish they would, as it would make things much easier for the businesses who are ramping up to follow.